I once took an Uber in Fairfield, Ohio. As we sat at a light, the driver pointed to an empty big box storefront. “What’s that building look like?” he asked. I said it looked like an empty big box storefront. “That’s right. You know where it went?” I said no, confused. He pointed down the street a few hundred yards away to a brand-new big box store. I was reminded of that story of fiscal competition at its finest when reading about Apple’s recent decision to close two of its stores in the Dallas suburbs. The Eastern District is known for its extremely patent-friendly judges, and so for decades patent plaintiffs have set up shop there and sued defendants located all over the country. Prior to 2017, the law allowed a plaintiff based in the Eastern District of Texas to sue defendants there if defendants had even tenuous connections to the district. And, of course, a company of Apple’s size has business ties to every part of the country. These letters threaten legal action unless the alleged infringer agrees to pay a licensing fee, which can often range to the tens of thousands or even hundreds of thousands of dollars. Many who receive infringement letters will choose to pay the licensing fee, even if they believe the patent is bogus or their product did not infringe. That’s because patent litigation is extremely expensive — often millions of dollars per suit — and can take years of court battles. It’s faster and easier for companies to settle. Apple’s two stores in the Eastern District would likely count as “regular and established places of business” for patent-law purposes. So under the new rules, continuing to operate the stores makes it easier for patent plaintiffs to sue Apple in the Eastern District. Apple has not confirmed that its move is related to patent-troll litigation. But, tellingly, the company is replacing its two shuttered stores with a new store…directly across the border of the Eastern District. Sometimes, the best offense is a good defense. The adoption of smart city technology is altering the way municipalities manage critical services and infrastructure. Worldwide spending on technologies that enable smart cities is projected to reach $80 billion in 2018 and will grow to $135 billion by 2021. 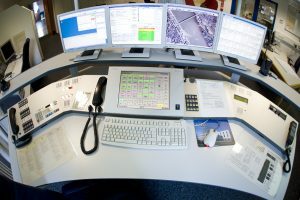 There are as many as hundreds of thousands of connected systems embedded throughout a city’s critical infrastructure, which are used for things like traffic monitoring and emergency alerts. Researchers from IBM and Threatcare evaluated three smart city sensor hubs and uncovered vulnerabilities, including bugs that would allow hackers to access the systems. The type of damage exploiting smart city technologies could cause includes: Causing disaster detection and alarm systems to report incorrect data; manipulation of law enforcement response (for example manipulating traffic control infrastructure to create gridlock and delay law enforcement teams from accessing the real scene of a crime); and the manipulation of farm sensors to cause irreversible crop damage. Cybercrime tops the list of the most dangerous risks for insurers in Willis Re’s midyear review of issues likely to keep insurance executives up late at night. Specifically, the most omnipresent cybersecurity problems to date are Meltdown and Spectre, two hardware vulnerabilities built into the chips of almost every server, computer and mobile device. Not far behind is the threat of falling into the information technology gap. Most insurers surveyed by Willis have just completed, are in the middle of, or are planning a major IT systems overhaul. They report a concern surrounding the expense of constant updates and at the same time the risk of not being able to satisfy customer service expectations by falling behind on the latest upgrades. 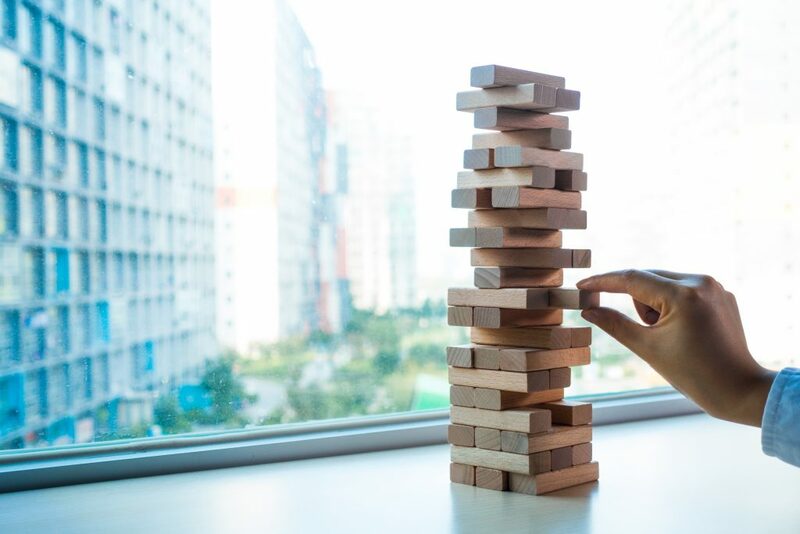 Some of the other risks on the list include: Strategic direction and missed opportunities, particularly in homeowners insurance; pricing and product line profit; runaway frequency or severity of claims; and disruptive technology; and competition. A recent edition of Gen Re’s Claims Focus contains a fascinating article that explains some of the key principles of behavioral economics (BE) and demonstrates their application to claims management. BE theory asserts that individuals make irrational decisions due to cognitive biases they are not aware of. These biases are so common that Dan Ariely coined the term ‘predictably irrational.’ BE has been a hot topic in insurance for some time and interest in it is not fading. Alongside the National Flood Insurance Program (NFIP), a thriving private flood insurance market would provide wider and in many cases cheaper coverage options, according to a new study. Consulting firm Milliman, in partnership with risk modeler KatRisk, looked at three states – Florida, Texas, and Louisiana – which combined account for 56 percent of NFIP insurance policies in-force nationwide. 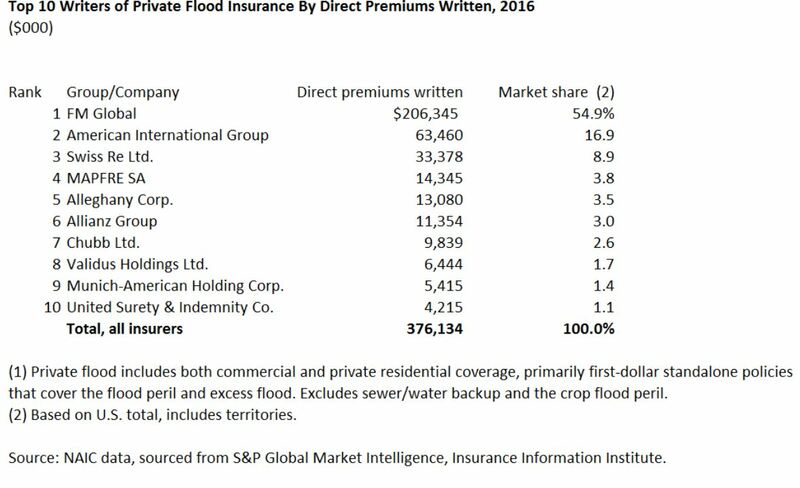 Its analysis compared modeled private flood insurance premiums to those of the NFIP. Some 77 percent of single-family homes in Florida, 69 percent in Louisiana, and 92 percent in Texas could see cheaper premiums with private insurance than with the NFIP. Of the homes modeled, 44 percent in Florida, 42 percent in Louisiana and 70 percent in Texas, could see premiums that are less than one-fifth that of the NFIP. Conversely, private insurance would cost over twice the NFIP premiums for 14 percent of single-family homes in Florida, 21 percent in Louisiana and 5 percent in Texas. A prior post discussed how private carriers are dipping their toes in the flood insurance market. Private carriers are dipping their toes in the turbulent waters of flood insurance, writes Insurance Information Institute (I.I.I.) research manager Maria Sassian. This year, for the first time, insurers were required to report in their annual statements data on private flood insurance. As you can see, the top three companies hold almost 81 percent of the market share, and at number one FM Global has a 54 percent market share. Direct premiums written for all companies total $376 million. Private flood includes both commercial and private residential coverage, primarily first-dollar standalone policies that cover the flood peril and excess flood. It excludes sewer/water backup and the crop flood peril. Some of the reasons private insurers are becoming more comfortable covering flood risk include: improved flood mapping technology; improved flood modeling; the construction of flood resistant buildings; and encouragement from Congress. The Federal Emergency Management Agency’s National Flood Insurance Program (NFIP) is billions of dollars in debt due to large losses from Hurricanes Katrina, Rita and Superstorm Sandy. Opening the market to private insurers is one of several measures enacted by lawmakers to get the program out of debt. Another step in shoring up the NFIP took place with the January 2017 transfer of over $1 billion in financial risk to private reinsurers. FEMA gained the authority to secure reinsurance from the private reinsurance and capital markets through the Biggert-Waters Flood Insurance Reform Act of 2012 and the Homeowners Flood Insurance Affordability Act of 2014 (HFIAA). One week since we were left scratching our heads following the botched best picture announcement at the 89th Academy Awards ceremony, the liability ripples from an apparent act of human error continue to spread. Just to recap: the mix-up occurred after a PricewaterhouseCoopers partner mistakenly handed presenter Warren Beatty the wrong envelope for the best picture award. As the LA Times reported early on, the mistake instantly turned into a public relations nightmare for the accounting firm which has handled the balloting process for the Academy Awards for 83 years. For its part, PwC quickly moved to mitigate damage to its brand, issuing an apology and accepting full responsibility for the mixup. Brian Cullinan and Martha Ruiz, the two PwC partners involved, have been permanently removed from all Academy activities. PwC said the partners did not follow through protocols for correcting the error quickly enough. Whether or not the Academy will terminate its contract with PwC, industry lawyers say there are a number of potential liability issues that could arise, per this article by The Hollywood Reporter. Others say public perception and doubts about PwC’s expertise could be a costly risk factor going forward. As the fallout continues, the two PwC accountants involved now need security protection due to the public backlash. While this human error did not happen in the process of crunching the numbers, it does highlight how important it is for businesses to manage their professional liability risks. Insurers have developed professional liability policies to meet the unique needs of a wide range of industries. Crisis response and helping businesses to protect their reputation are among the services insurers provide. The distracted driving epidemic, and its impact on highway accidents and the cost of auto insurance, continues to be all over the news. A 2016 underwriting loss of $7 billion for State Farm’s auto insurance business, announced earlier this week, prompted the latest wave of headlines (see Bloomberg report). Smartphones and gadgets and screens installed in new cars are two major sources of distraction, the Wall Street Journal recently reported. While technology is part of the problem, it is also part of the solution (see earlier T+C post). A number of insurers are already partnering with technology companies to offer solutions to prevent distracted driving. Digital Insurance features some of the latest technologies introduced by insurers here. The list includes a distracted driving simulator brought into schools as part of Arbella Insurance’s Distractology program, as well as apps that integrate with usage-based insurance programs to curb distracted driving (see here and here). An Insurance Information Institute (I.I.I.) white paper on how more auto accidents and larger claims are driving costs higher is available here. I.I.I. advice on how to keep your auto insurance affordable here. What Does Private Market Flood Insurance Look Like? Florida has opened its market to private flood insurance, and there has been some activity in that area. Most plans have been National Flood Insurance Program (NFIP) clones in that they mimic how the NFIP prices risk but introduce a lot of underwriting rules to try to avoid problem risks. Relative elevation (whether a risk is higher or lower than the areas that immediately surround it). Use a sophisticated catastrophe model to price each risk individually. That approach is more precise, but it could be more difficult to pass regulatory approval. (The model might be too much of a black box.) It could also be harder for agents to understand the model and explain it to clients. Much of the industry long-term seems interested in how computer models can price flood risk, but most people recognize the challenges. A big one is how to build in the precision necessary.